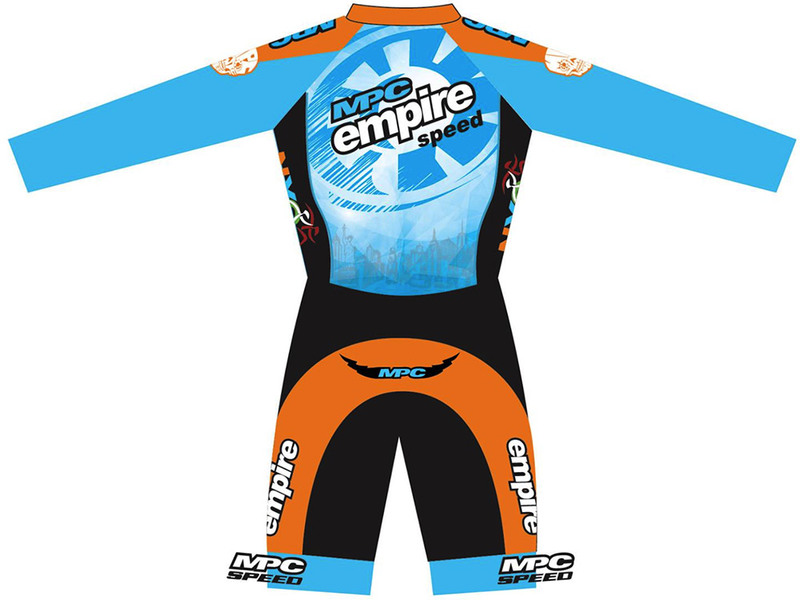 The Empire Skate Club's speedskating wing is known as Empire Speed. General info about the group is available on EmpireSpeed.com. 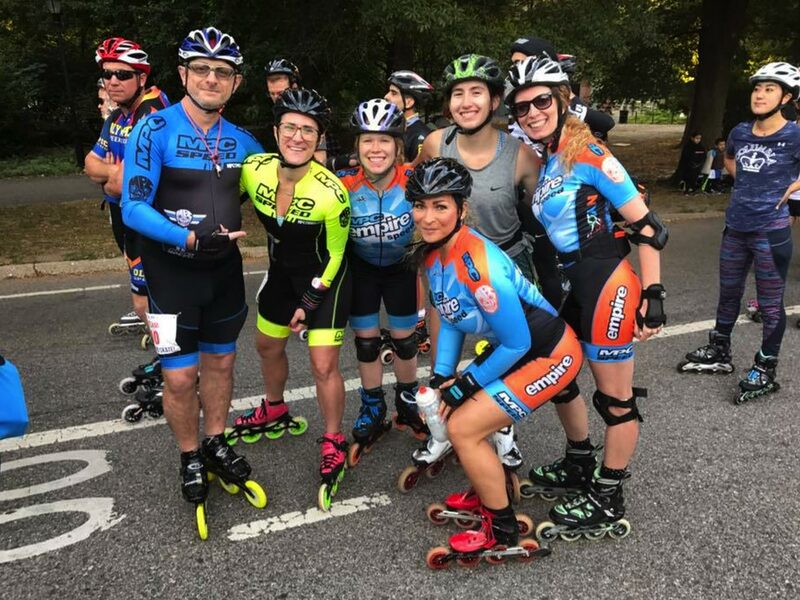 Members of Empire Speed meet to train together on the Central Park loop from early May through skate marathon weekend in late September. Sessions occur on weekday evenings, often twice per week, weather permitting. During summer 2018, sessions were usually held Monday and Thursday. To verify whether speedskaters will be out on a given evening, check the Empire Speed Facebook page for any late announcements. Meet-up is usually just after 7 p.m at "the curb" (map), on the west side of the CP loop uphill from Tavern on the Green (West 67th St.). Weekend training events, such as long-distance skates to Nyack and back, should also be announced on Empire Speed's Facebook page. In winter, some of the Empire Speed crew do indoor training at the Branch Brook Park Roller Rink in Newark (map). Contact Empire Speed for current scheduling. Our friends on the Brooklyn Speed Team train Sunday mornings April through September in Brooklyn's Prospect Park. They usually meet at 10 a.m. at the Bartel-Pritchard Circle entrance to the park (map), at the corner of Prospect Park West and 15th St.